Showing movement in wedding photography is always a good way to get memorable images. This is one of the key points of professional photography, keep your couple from being too static. Have them walk, interact, jump and kiss. These things make the image! 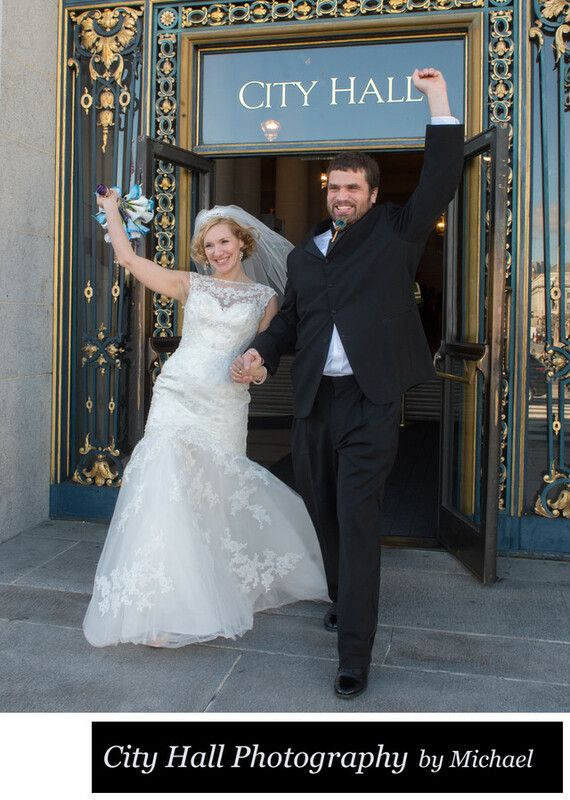 In the photo above we simply asked the couple to walk quickly out of the city hall main entrance and do some sort of celebratory action. I also did not want them looking at the camera because I thought it would make the image more real if they looked straight ahead. Kind of gives the wedding photo a documentary look! So much of the activity revolving around the wedding at city hall can seem staged if your professional wedding photographer does not handle it right. This image really speaks to that.